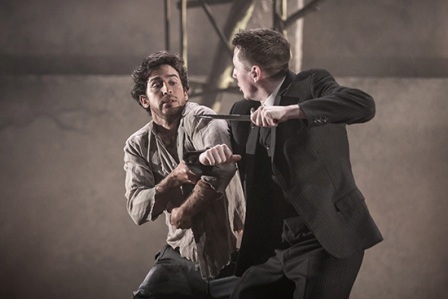 There have been a few King Lear's on the theatre circuit of late but this one stars an actor who has been named one of the finest Shakespearean actors of all time. Michael Pennington is the big pull for this version produced by Ambassador Theatre Group and created by the Royal and Derngate in Northampton that is finishing off its UK Tour in Malvern this week. Pennington, who played Moff Tiaan Jerjerrod in Star Wars movie Return of the Jedi, has been nominated several times for a Laurence Olivier Award and after seeing this production, you can understand why. 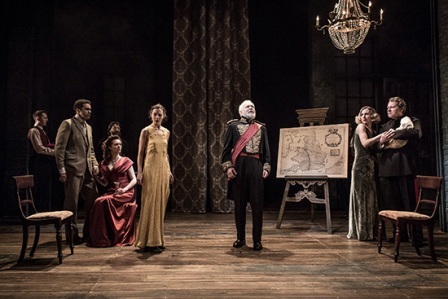 The Shakespearean tragedy of King Lear about a misguided king who neglects his good daughter and splits his kingdom between his other two villainous daughters and ends up facing the consequences is as action-packed and tragic as Shakespeare gets. Pennington stars in the lead role as Lear following a run at the Shakespeare Center in New York. He fits in well with a superb cast, that has had time to get used to each other's rhythm during the tour as it's a slick, fast-paced affair. A gunshot rings out to start the proceedings, set in a 1920s-'30s era where the king's family has gathered for a shooting party reminiscent of those seen in Downton Abbey. Pennington, looking eerily like a Jeremy Corbyn double, is masterful in the lead role, but it all seems so second nature to the actor. He effortlessly moves between Lear's arrogance, anger and later madness with a performance filled deep with emotion. Pennington also makes Shakespeare's words easy to understand and it's fascinating to think how the language and themes are so relevant 400 years after Shakespeare's death. The biggest reaction of the night was bursts of laughter related to corrupt politicians and was to the line: "Get thee glass eyes, and like a scurvy politician seem to see the things thou dost not". So apt in the current political climate. The whole thing also works well because there's a strong cast around Pennington, particularly the baddies - evil haughty sisters Goneril (Catherine Bailey) and Regan (Sally Scott), along with a mean, vicious Cornwall (Shane Attwool) and devious Edmund (Scott Karim), who is like a Cockney geezer on the make. The only drawback is that due to a small cast, some of them have to double up in minor roles, which can be confusing. Beth Cooke playing Cordelia appears as a member of her sister's household and the deceased distinctive looking Cornwall is then a soldier for the opposing army. 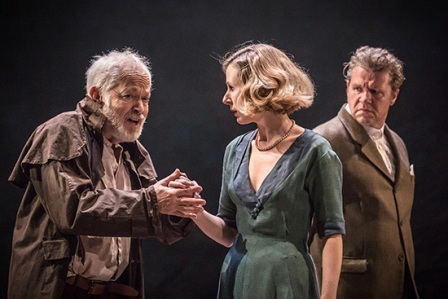 There have been a few King Lear's on the theatre circuit of late but with Pennington in the title role, this has to be one that you can't pass over. The cast will also be reading poems in the Malvern Theatres foyer from 6pm on Thursday June 29 in aid of Syrian refugees in Calais.